Rum has languished in the brown spirits boom, but a fresh round of efforts charted a different future. In the spirits business, premiumization is the name of the game. While the trend has lifted once-moribund categories like Tequila and Bourbon, one spirit that has yet to move upmarket is rum. But after years of high hopes, the category might finally be on the brink. 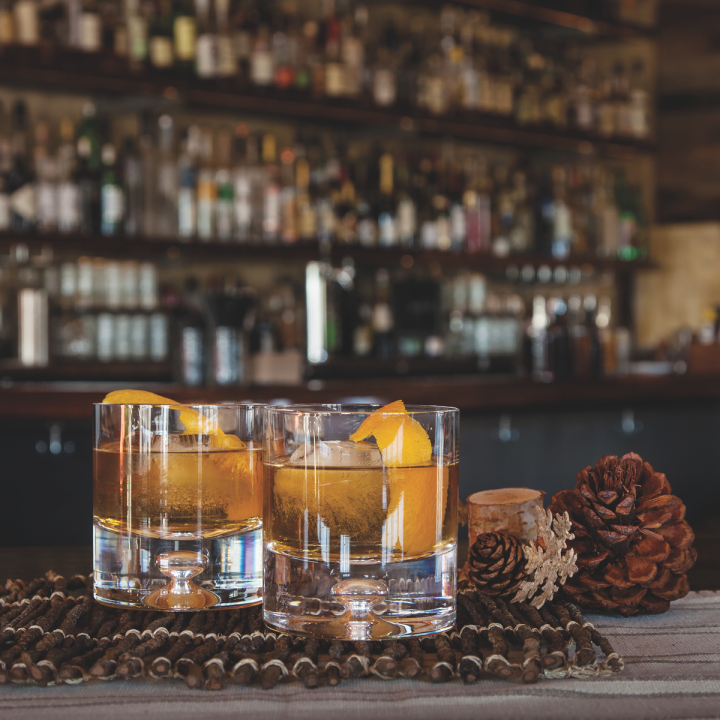 “Consumers are dabbling in aged spirits and thus are starting to rediscover other sides of rum—specifically aged rum,” says Christine Moll, category director for rum at Campari America. For the last 10 to 12 years, people have been talking about rum being a category that will premiumize, and we’re slowly seeing that start to happen. Venezuelan brand Diplomático is among the more serious rum players targeting the upscale consumer. The brand, handled by Domaine Select Wine Estates, launched two new labels earlier this year: Mantuano ($24 a 750-ml. ), a 40-percent abv blend aged up to eight years and aimed at cocktail occasions, and Planas ($29), a white rum aged up to six years and filtered to remove color. The rums, currently available only in select markets, are part of the brand’s new Tradition Range, which also includes the flagship Reserva Exclusiva. Appleton Estate (rum pictured) offers the same history and heritage credentials that whiskies have capitalized on in an effort to premiumize their products. No.-3 brand Malibu, a coconut-flavored rum with an array of flavored line extensions, bucked the trend in 2016 with a 2.4-percent increase to just under 2 million cases, according to Impact Databank. Bacardi, by far the category leader with 31-percent U.S. market share, has struggled over the past decade against the onslaught of competition and fell 1.4 percent to just under 7 million cases in 2016. The brand consists of the standard white rum, along with various flavors and some dark rum labels. Second-ranked Captain Morgan Spiced rum advanced 2.8 percent to 5.52 million cases last year. Linda Bethea, vice president of marketing for Captain Morgan at Diageo, says much of the category’s growth over the past several years can be attributed to the spiced segment, but she also acknowledges the intense competition. “Captain Morgan continues to face competition from flavored whiskies and other spiced rums,” she says. The success of those flavored whiskies gives some marketers hope that millennials will soon turn their attention to aged rums. Amy Bidwell, senior brand manager for Flor de Caña rum at William Grant & Sons, notes an uptick in demand and some crossover. “The interest is likely coming from consumers who’ve been drinking brown spirits, specifically Bourbon,” Bidwell says. Josh Hayes, senior brand manager for Sailor Jerry at William Grant & Sons, also sees parallels with whiskey. “What’s popular right now are things with a bit of sweetness to them like Bourbon,” he says, suggesting that trend paves the way for exploration into rum. 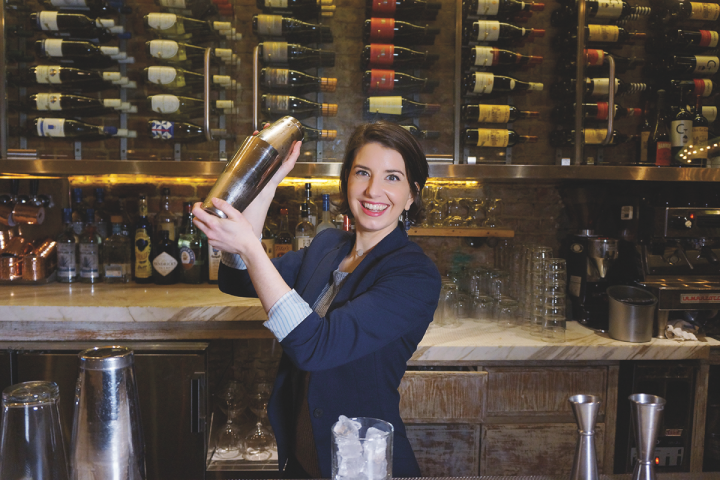 Crave Fishbar's head bartender, Kat Gordon (pictured), embraces rum's resurgence in restaurants. Michele Willard, beverage director at URBN Restaurant Group in San Diego, uses rum in a variety of cocktails, both classic and tiki. Willard, who says rum is a “huge deal” for her but less so for her customers, notes that interest is increasing. “When someone comes in just looking for a refreshing drink, I’ll most likely suggest a Daiquiri or Daiquiri variation,” she says. 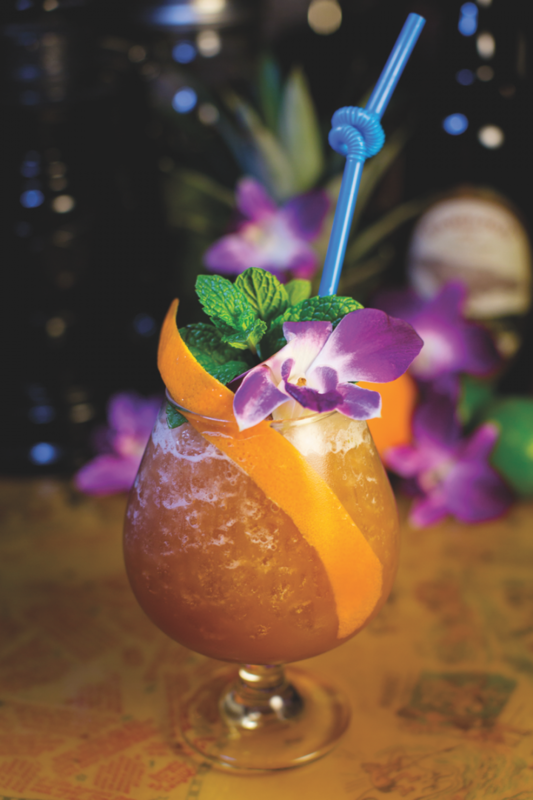 San Diego is a big tiki town, and is also home to other destination tiki bars like False Idol, co-owned by tiki maven Martin Cate and local hospitality operator CH Projects. But specialty cocktails are what drive most consumers into the rum category at Crave. One popular rum cocktail is the Black Smoke Monster ($14), Gordon’s spin on the Dark & Stormy. The cocktail is made with The Kraken Spiced rum, Sombra mezcal, lime juice and house-made smoky ginger syrup. 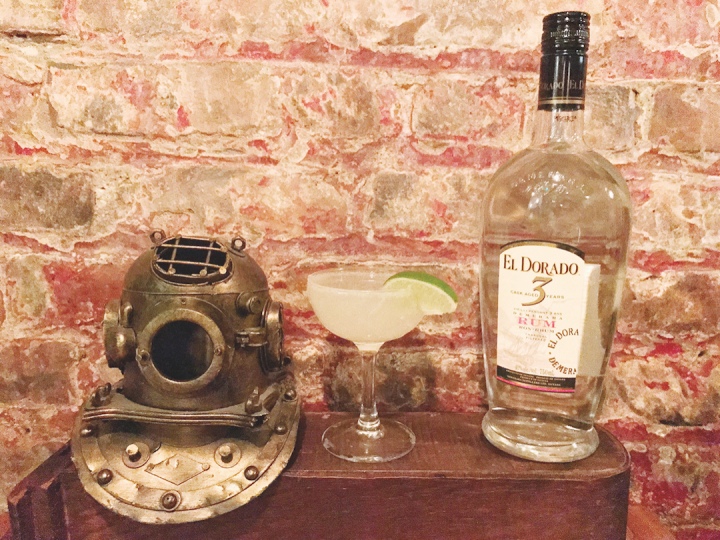 Crave's Gordon recommends traditional Daiquiris (above) as an easy way for consumers to begin exploring rum. With demand for rum essentially flat and many leading brands in the doldrums, there’s an ongoing stream of new products designed to spark enthusiasm among consumers. Captain Morgan has pursued the shot strategy, developing Captain Morgan Cannon Blast, the seasonal Jack-O’Blast and its newest entrant, the coconut-enhanced LocoNut. We’re very optimistic that high-end rum is the next new wave of brown spirits explosion. Some retailers aren’t so sure. “Our interest in flavored rums is low, as they have trended down over the last two years,” says Tom Jacob of Wichita’s Jacob Liquor Exchange. “I believe the customer interest is also low.” At BevMo, Bowden notes that the retail chain isn’t taking all comers. “With the exception of tried-and-true flavors like spiced, lemon, banana and coconut, we are being very selective on which flavored rums we will add to our current selection,” he explains. Even as they’re pushing flavors to attract new consumers, some marketers see whisk(e)y drinkers as prime targets. They say the key to future growth is tapping into the millennial exploration that continues to occur within dark spirits, particularly whiskies. That trend goes hand-in-hand with rum’s premiumization, which some are convinced is finally beginning to happen.